While possessing up to an ounce of marijuana in Olympia is legal, driving a vehicle under the influence of marijuana is still a serious crime. A conviction for driving under the influence of pot will incur serious consequences that could have a devastating effect on your life and your future. Our Olympia DUI marijuana lawyers possess a comprehensive understanding of Washington law, and we urge you to treat a marijuana DUI charge the same as an alcohol-related DUI. A pot DUI in Olympia incurs the same penalties as an alcohol-related DUI, including up to 364 days in jail and $5,000 fine. You will also have your driver's license suspended for a minimum of 90 days, and quite possibly longer. If a blood test shows that you were driving with at least .05 nanograms of THC in your bloodstream, you can be charged with a Washington State pot DUI. Our Olympia marijuana attorneys have seen firsthand how a conviction can upend a person's life. Take it from our experienced team of litigators - you need to do everything you can to minimize the penalties of a conviction. If a police officer pulls you over and suspects that you are driving a motor vehicle under the influence of pot, they may call for assistance from a drug recognition expert. This official's job is to determine whether you were under the influence of marijuana while driving. Our Olympia marijuana DUI attorneys will take a keen interest in this person's report, because this “expert” may have just been using their own discretion, instead of following the letter of the law. Our Olympia DUI marijuana lawyers will tirelessly investigate your case so that they can aggressively defend your interests. Washington's complex marijuana laws are often confusing, especially for someone without a legal background. Our Olympia pot lawyers have extensively researched Washington's marijuana DUI laws, and will help you get a grasp on how the law applies to your particular case. Our Olympia marijuana DUI attorneys have more than three decades of combined experience, and have resolved hundreds of alcohol-related drunk driving crimes. We've also been defending drivers charged with pot DUIs since the new marijuana laws went into effect in 2012. Contact our office today and start getting answers from our qualified Olympia marijuana attorneys via a free case evaluation. This is your chance to get reliable information about your pot DUI without risk, and it won't cost you any money. If you retain one of our Olympia DUI marijuana lawyers, they will aggressively fight to have your pot-related charge reduced or dismissed. If you've been convicted of a DUI crime sometime in the past, you may be subject to more stringent penalties. If this is true in your case, you need to talk to one of our Olympia marijuana attorneys without delay. Our Olympia pot lawyers need time to sort through the evidence pertaining to your case, and ascertain the best defense strategy, so give them the time they need to help you. 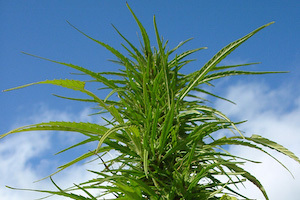 Contact our Olympia law firm today and get help fighting a marijuana DUI, so that you can move forward with your life.